The media industry's current round of cuts and consolidation is accelerating. 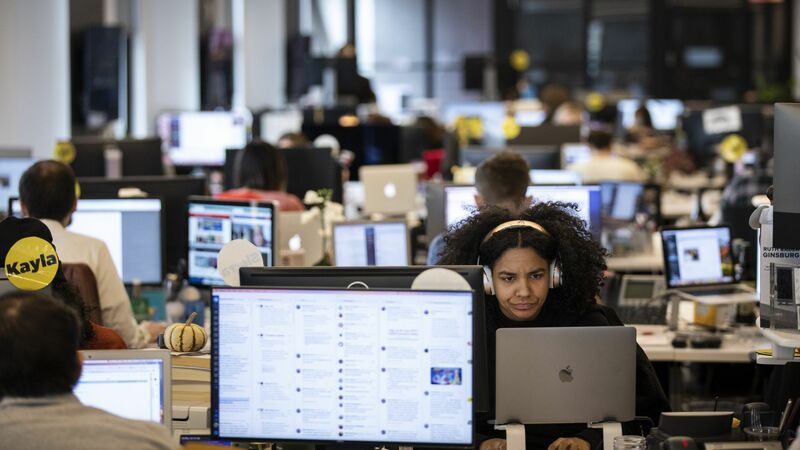 Sizable layoffs at Buzzfeed, Gannett and Verizon Media (home of AOL, Yahoo, HuffPost and others) were announced Wednesday, totaling over 1,000 jobs cut. The big picture: The struggle to create businesses that can support a healthy news environment is universal across the information ecosystem. It exists at the local, national and global levels, and across digital, print and television operations. Be smart: Policymakers around the world want to address the problem, but most are still struggling to find workable solutions. In Europe, lawmakers have proposed a copyright directive that would force tech giants to pay publishers for linking to their content, but the directive experienced a setback five days ago after member states failed to agree on some rules. In the U.S., regulators at the FCC has rolled back decades-old broadcast ownership rules to allow local news companies to more easily merger to be better able to scale and potentially compete with some of their tech counterparts. The U.S. newspaper industry is still waiting on Congress for a proposed temporary safe harbor that would allow it to bargain as a group against big tech companies. Bottom line: Many news companies are struggling to find sustainable business models in the digital era. There's no sign it's getting any easier.